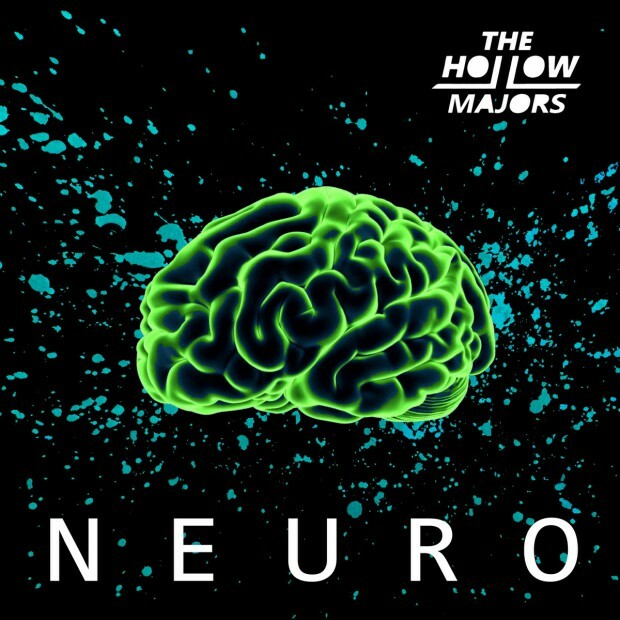 The Hollow Majors cut their teeth as a band on the cover scene for quite some time, they were building a compelling reputation as high energy and accomplished performers long before embarking on producing their debut album of original tunes titled – Neuro. Released in December of last year, Neuro is a no nonsense and straight forward rock record that serves as an introduction for the band into the original music arena. It’s a strong first entry as the album wastes no time in delivering you an array of filthy Wah driven riffs and an overall in your face tone that is a constant presence on the record. The band’s influences are quite prominent in Neuro, with a general JET and Royal Blood sound going on and in some cases, with tracks like ‘Upstream’, breaking into Oasis territory. The Hollow Majors’ clearly aren’t shy about wearing their biggest musical influences as badges of honour, which if you are big fans of the aforementioned acts, is definitely an appealing factor. The Hollow Majors have taken their knowledge and experience from their live shows and picked out what works and successfully translated that into a record. Neuro will draw you into The Hollow Majors’ signature sound that will more than likely feel both familiar and welcoming to rock’n’roll fans.